HOLLY RIDGE, N.C. — A missionary to South Asia was arrested last night while conducting a gospel outreach at an Independence Day celebration in Holly Ridge, North Carolina. Jesse Boyd of Full Proof Gospel Ministries told Christian News Network that he had just returned to his home state from a 13-month missions trip two weeks prior, where he had been preaching in Johannesburg, South Africa; Kathmandu, Nepal; Dhaka, Bangladesh and 15 other countries worldwide. Boyd preached in the open air, witnessed one-on-one, and distributed approximately 150,000 pieces of gospel literature during his mission, which he states is one of many evangelistic trips that he has conducted over the past decade. The center of Boyd’s outreach was in Kathmandu, where he and his wife and three young children lived, along with fellow missionary Ricky Springer from Oklahoma. Boyd says that he and Springer were invited by a local Christian to last night’s Fourth of July celebration in Holly Ridge to share the gospel with the attendees that would be gathering in the public park. He states that he and Springer distributed tracts to many people, and then Springer decided to preach the gospel. As there was loud music playing, Boyd explained that Springer utilized a small amplification device, which was clipped to his belt. Boyd stated that Springer preached for approximately 30 minutes without issue from police. He said, however, that when a man who had been drinking began to take issue with Springer’s message, the police turned against them. He states that although he and Springer inquired numerous times as to what law they were violating, Whaley would not provide an answer, and only made threats of arrest if they continued. He reportedly left in a huff of anger. Boyd said that as Whaley departed, the national anthem came over the speakers and the fireworks display began, so they ceased preaching out of respect for the program. “At that time, we were not preaching or anything because fireworks were going off — only standing around and conversing with some local believers we met,” he explained. Boyd said that he also called 911 to request that a supervising officer be called to the scene, as he was concerned that Whaley was violating their constitutional rights. 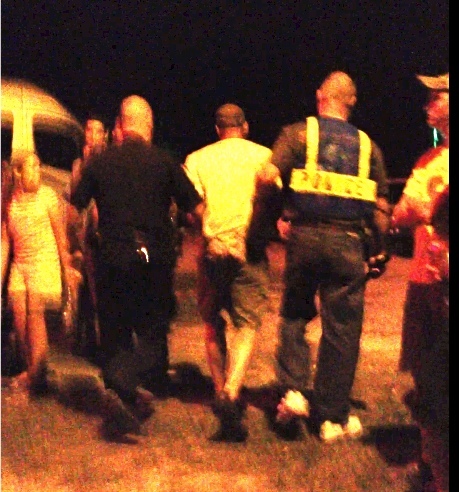 Approximately 10 minutes later, Whaley returned with a man that identified himself as the police chief. Whaley again informed Springer as he was conversing with fellow believers that if he used the amplification device, he would be arrested. Boyd said that he began to discuss the local noise ordinance with the officers in an attempt to ascertain how they could comply with the law. “I continued to press for an explanation of how the law was being transgressed, but these officers scoffed and then rudely walked off, again threatening arrest,” he stated. He stated that when uttering the word “repent,” the officers basically turned around and placed him in handcuffs. While Springer was attempting to record the situation with his camera, the man who identified himself as the chief reportedly prohibited him from doing so and grabbed Springer’s arm to stop him. He also threatened that if Springer did not produce identification, he would also be taken into custody. Boyd was then transported to the Onslow County Jail, where he was held for two hours and released on $500 bond. He was charged under North Carolina’s disorderly conduct statute for “making utterances and using abusive language, intended and plainly likely to produce immediate violent retaliation” against the police. “I wasn’t aware that the words ‘repent’ and ‘shame’ are considered abusive language that incite violence,” Boyd told Christian News Network. “This bogus charge is nothing more than a thug policeman venting his hatred for the gospel and abusing his authority, and a police chief choosing to back said officer instead of respecting the law and someone’s freedom of speech,” he added. A hearing is scheduled for August 30. Chief Maiorano and the Holly Ridge Police Department refused comment. However, Mayor Elmer Padgett, who was reached at his home, remarked that the attendees did not come to hear Boyd speak, but to see the fireworks. 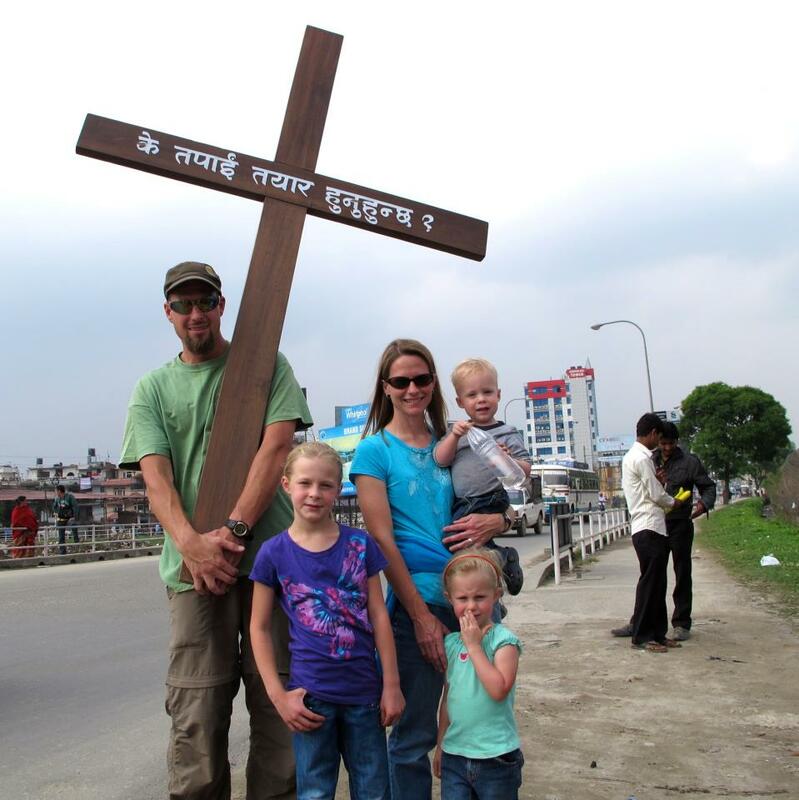 Boyd and Springer were beaten by an angry crowd earlier this year while preaching on the Ten Commandments in Nepal. They suffered multiple injuries from being battered with boards, stones and bare fists.